“CQC released its tradable health commodity concept note for review and feedback. The concept was aired by Ken Newcombe more than a year ago and generated significant interest. CQC cannot take this to market by itself. Jason Steele and Ken have been working with the World Bank and other interested stakeholders to design and test part of the process and protocols necessary to established avoided DALYs (Disability Adjusted Life Years) in specific countries and regions where cooking is still done on an open fire and where there are cost-effective practicable clean efficient cook-stoves available. It is obvious that the Global Alliance for Clean Cookstoves needs to be a major sponsor of this effort to create a market for DALYs on a pay-on-delivery mod for agreed prices in order to stimulate clean Cookstoves investment in the face of a collapse in the carbon market.” Read the Health Commodity Concept here. 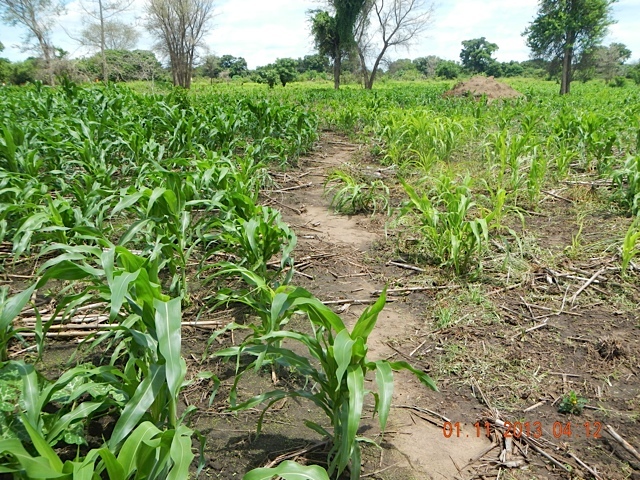 Between January 8th and January 18th, C-Quest Capital and Brinkman Associates undertook fieldwork to gain a preliminary assessment of the contribution of Gliricidia sepium (Gs) to soil organic carbon levels in the deep soil profile up to 3 metres in small-holder farms in and around he Luangwa Valley in Zambia. The assessment is part of a broad-based partnership between the Community Markets for Conservation Ltd (COMACO) and C-Quest Capital to, inter alia, develop agricultural and forest carbon assets for trade on the world markets. COMACO has selected Gs as the main element in its legume-based agroforestry systems it promotes to its 65,000 member farmers to increase crop yield and improve climate resilience. This work has been funded by the Royal Norwegian Embassy (RNE) in Lusaka. The Gs agroforestry carbon project is a key element of the World Bank BioCarbon Fund COMAC Landscape management REDD + project in preparation with the support of CQC. The following are some observations from this fieldwork. A formal report will be made available to COMACO and RNE when soil samples have been analyzed and the results processed. Not clear how much SOC there is in deep profile as soils in part of the area were deep sand and not clay, completely contrary to soil maps (which are more or less useless). In those clay soils we sampled, there is a lot of deep rooting and conversion. In sandy soils, roots pass right through the sand to the old historic topsoil layers and branch laterally into them at a metre plus (wherever these remnants are). Samples will tell the story. See picture. Gliricidia (Gs) clearly has a beneficial impact on crop production. In evidence everywhere. Good photos attached. As a result of the fieldwork CQC proposed to use the TEP methodology for both Gs biomass and SOC.